Improve your posture at work! Standing up straight can help improve your health, but most of us slouch at our desks all day. Maintaining your posture is key to having proper alignment. When you’re properly aligned, you have fewer aches and pains, and you feel less tired. Check out these tips to help improve your posture at work. Even when you’re sitting at your desk, be sure to pay attention to your posture. 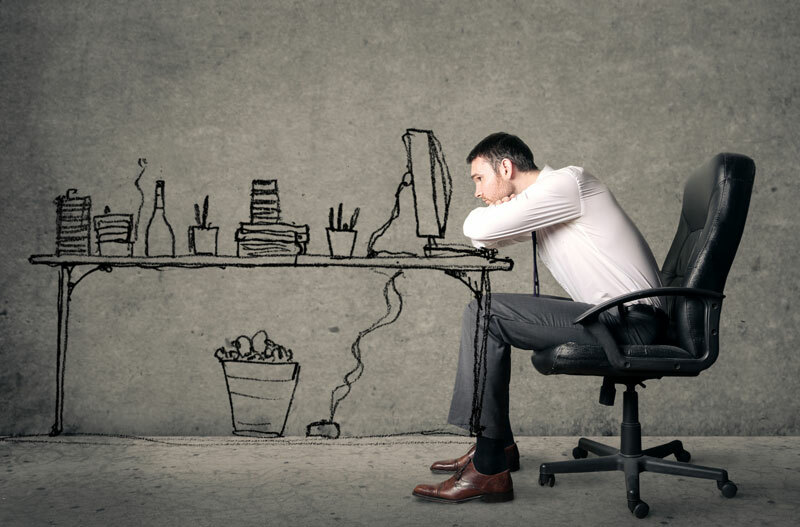 Both slouching and leaning forward are bad positions for your back. Be sure to align your spine so that you’re sitting up straight. Keep your shoulders back, your head up. When you sit all day at your desk, it takes a toll on your back. Be sure to use an ergonomically designed chair so that you’re properly supported. Don’t want to make such a big investment? Try supporting your lower back with a small pillow. When sitting at your desk be sure to pay attention to your elbow angle. You should be sitting so that your arms are flexed at 75 to 90 degrees. Less than 75 degrees and you’re sitting too close, greater than 90 degrees, and you’re sitting too far away. Make sure that you keep your feet firmly on the ground when sitting at work. When you cross your legs, you affect your center of balance. Be sure to keep both feet grounded so that you stay centered. Make sure that you take a break from sitting. Get up and move every so often to get your body moving. Take a walk or just stretch. You’ll feel better and will take some stress off your back. Be sure to implement these practices in your workplace. For assistance with decking and waterproofing your commercial properties, contact SBR Roofing. Located in Burbank, California, we offer the best roofing, decking, or solar panel services in the Greater Los Angeles area.